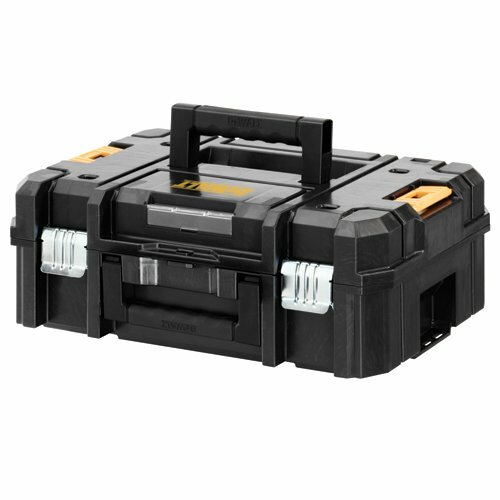 The DEWALT DWST17807 TSTAK II flat top toolbox organizer offers new innovation in DEWALT storage options. This flexible platform allows different combinations; all units can stack on top of each other and are able to connect with durable side latches for easy carrying and safe stacking. The bi-material handle on top of each unit allows for easy and comfortable lifting and heavy-duty metal latches protect against rust. Length 17.25" x Width 6.375" x Height 13"